Charter Communications is an American cable company that offers service under the name Charter Spectrum. It services 5.9 million customers in 29 states, making it the third largest provider in the United States by revenue, behind Comcast and Time Warner Cable. Become a part of this successful company by filling out a Charter Communications application. Barry Babcock, Jerald Kent, and Howard Wood started the company in 1993 in Louis, Missouri. Its current headquarters is in Stamford, Connecticut. The CEO and president is Thomas M. Rutledge, and the chairman is Eric L. Zinterhofer. In addition to cable television, the company provides HDTV, digital television, and broadband. PCWorld awarded the company with several fastest ISP-type awards in 2011. In 2009, Charter won the CableFax TopOps award for its Day of Service team, which answers calls from customers on the day a technician is scheduled to arrive at their home. 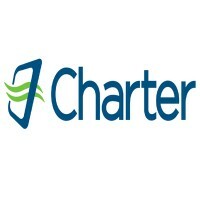 In 2007, Charter was recognized by CableWorld Magazine in 2007 Multi-System Operator of the Year. In 2015, its Fortune ranking was 331. Charter offers services across the country with its main bases in California, Missouri, Texas, and Michigan. It has call centers in seven areas in the United States. All calls for online or through retail partners go through the call center in Tempe, Arizona. The company has centers in Canada and Philippines, as well. Charter Communications jobs are al about supporting you and helping you achieve success at this top-tier service organization. There are positions available in Customer Operations, Operations, Sales, and Engineering. Apply online for Charter Communications careers in the sector that interests you. The company even offers a link that can help you find the jobs that are best for you. To learn more about Charter Communications jobs, you can attend a Charter Communications event in locations near you. Representatives discuss employment opportunities and answer questions about working in the industry and about the Charter Communications application. The website’s list of events let’s you export it to your own schedule, so you don’t miss it. How old do you have to be to work at Charter Communications? 18 years old is the minimum age. Positions are available in a variety of places such as Sales Representative, Service Center Representative, Client Services, Account Executive, and Warehouse Technician. Each job has different experience required, different responsibilities, and a different salary. Benefits include healthcare. You can also qualify for a 401(k) retirement plan, long-term disability, paid-time off, and discounted service. The company stresses a work-life balance, making it a good place to work. Salary is competitive for the industry and depends on experience and time with the company. There are several thousand employees in locations around the country. Customer Service – This position requires interacting with customers directly, using exceptional communication skills. You must resolve customer issues and solicit new products. You will have monthly performance goals and will receive commission on sales, allowing you to make a decent salary. The base pay rate can range from $11 to $28. There is no prior experience required for this career, so download application form today. Sales Representative – These people find new customers through door-to-door solicitation. They must have a firm understanding of products and of what customers will need. They must be aggressive salespeople with a passion for technology. Your success in these careers depends on how good you are at sales as commission is a significant part of your salary. Warehouse Technician – This is a physical demanding job. You must be able to control and lift incoming and outgoing shipments. You will perform inventory using math and computer skills. You will be working in a warehouse, which can by physical strenuous. Wages are hourly, beginning at about $11 and can reach $14. Broadband Installer – You will perform basic installations, disconnects, reconnects, service upgrades, and service downgrades. All service must be provided according to company, state, and federal guidelines. This is an entry-level position with complementary training. All work is done under direct supervision. Driver’s license and satisfactory driving record is required for hiring consideration. To be a competitive applicant, prepare for your interview by thinking of questions and answers in advance. Discuss your resume. Briefly list the previous work experience that you have had. Beyond mentioning each job, mention why you liked it or what you learned from it. This will give the interviewer a sense of what you are passionate about and how you work. It would be best to spend the most time talking about things that are relevant to this job description. Why should we hire you? This question is similar to the last one. Mention traits that you showed were skills or experience on your application form. You want to make yourself come off as unique, as well as someone who will fit into and excel in the company culture and work environment. How do you deal with mad customers? The answer to this question is that you will be patient, respectful, and helpful. You will only talk to your manager if you cannot figure out how to calm the customer or if they ask you questions that you do not know the answer to. Are you willing to travel? Do you have reliable transportation? You must answer this question honestly. It is okay if you must stay local or if you take the bus to work. Just make sure that you understand the job requirements, so you can know whether this is okay for the position for which you are applying. Why do you want to work here? Use the company website, the listed job opportunities, and the Charter Communications job application online to come up with reasons why the company is unique and why it is interesting to you. Make sure this is not a generic answer and instead focuses on Charter Communications. Charter Communications careers are open to all, and the online application makes it easy to take advantage of this unique opportunity. It is easy how to apply for Charter Communications online. Just go to the company website to see all available positions. You can instantly fill out many applications, as it is a free application. After completing the direct application, make sure to keep a copy of the printable application form for yourself. You want to keep track of all the applications you complete, so it is easier in the future to apply for other jobs and so you can get a sense of what makes a successful application. The interview is an essential part of how you apply for jobs at Charter Communications. The interview gives the company a sense of who you are and whether you will fit in with the company. It will be easier for them to get to know you in person than through the Charter Communications jobs online form. You want to present yourself well. To do this, make sure you are prepared. Dress will, arrive early, practice the interview, and bring the printable application for Charter Communications with you. During the interview, use eye contact, take your time to answer the questions, and ask questions of your own. Delmarva Power: For employment at Delmarva Power visit the application page. Southern California Edison: Use the Southern California Edison job application to apply here. Burns And McDonnell: Use the Burns And McDonnell job application to apply here. Duke Energy: Use the Duke Energy job application to apply here. Chesapeake Energy: For career opportunities, fill out the Chesapeake Energy online application.